Posted November 17, 2015 & filed under Thanksgiving Holiday. 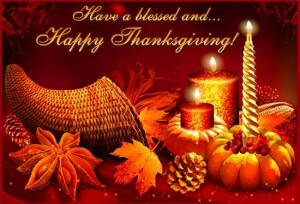 As we count our blessings on this Thanksgiving Day, we count ourselves extremely fortunate to have customers like you. Thank you for making this year a great success. We could not do this without your continued support and partnership. Data Systems will be closed the day of Thanksgiving so that we can spend time with our family, friends, and loved ones. We are thankful for your business and loyalty . We would like to extend our best wishes for a happy and healthy Thanksgiving Day! Click this link for a great Thanksgiving recipe! At Sharetec, we develop core processing solutions with two goals: make it smarter and keep it simple. Our system is scalable to meet the needs of credit unions of every size – all while providing a user interface that greatly reduces training time and the need for day-to-day support. Most importantly, we are committed to delivering excellent ROI and lower cost of ownership so you can stay on the cutting edge of technology without cutting into your bottom line.